Get the most out of Pathfinder Module: Tears at Bitter Manor with this custom-made assortment of characters, treasures, and more! Item Cards help you track all the best equipment. 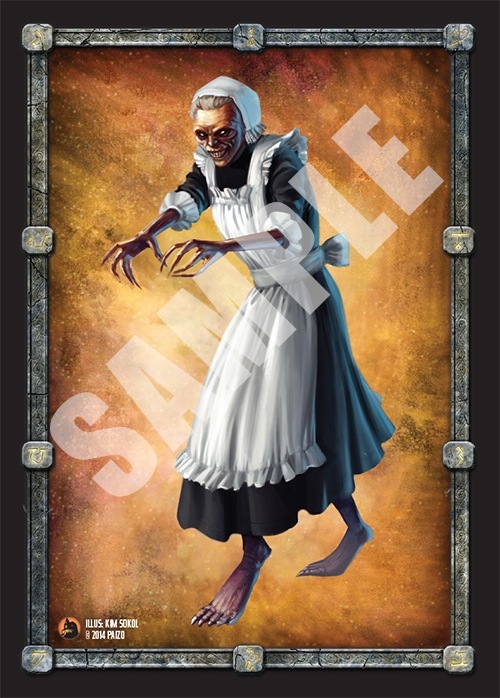 Face Cards depict the most important NPCs and new monsters. 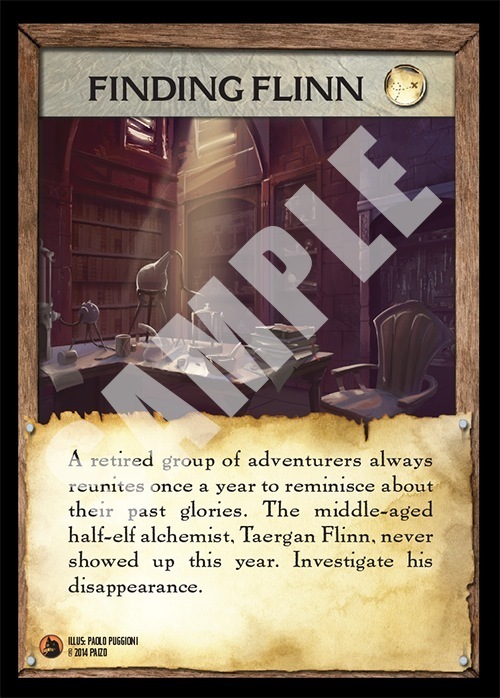 Quest Cards summarize the key adventure goals to keep players on track. 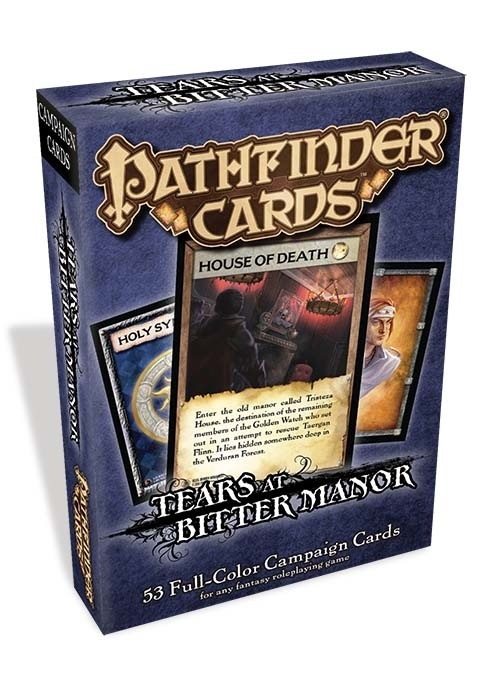 Designed specifically for use with Pathfinder Module: Tears at Bitter Manor, this beautifully illustrated 53-card deck shows players the many treasures and terrors in store for them! 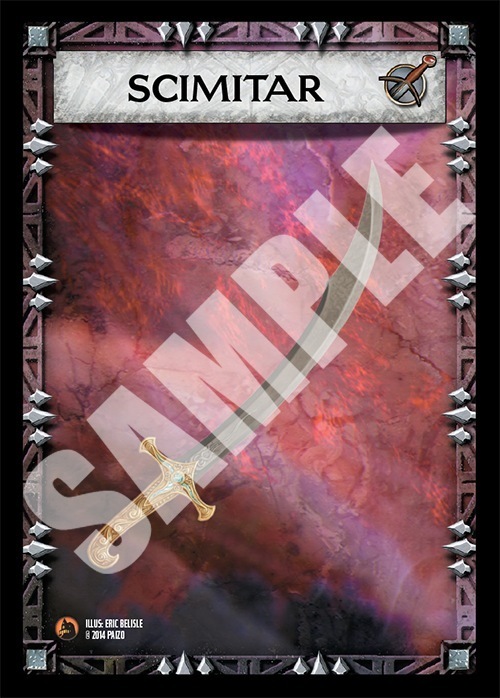 Note: This product is part of the Pathfinder Cards Subscription. Announced! Product image is a mockup. Product image and description updated, sample images added. Not that I am the target market for this, but I love the idea of Quest Cards. They are one aspect of computer games that D&D 4e suggested to use and work well, especially in games with complicated plots and / or where game sessions do not happen that often (e.g. once a month). Glad to see Paizo introducing them too.